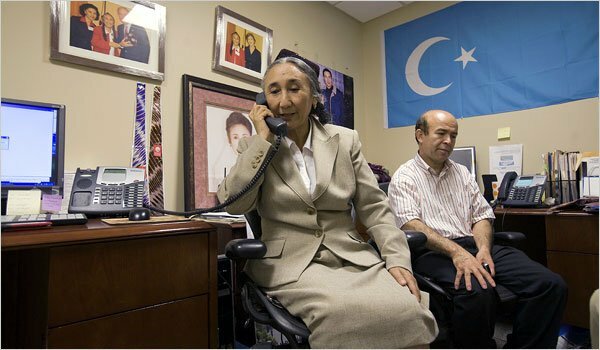 April 27, 2018 (Tony Cartalucci - NEO) - The US government and organizations it funds posing as "human rights advocates" have decried Malaysia's recent decision to deport 11 Uyghurs suspected of links to terrorism back to China. The United States on February 9 voiced concern over Malaysia's possible deportation of 11 Uyghur Muslims to China. Human Rights Watch, a front posing as human rights advocates funded by convicted financial criminal George Soros and his Open Society Foundation, would also decry Malaysia's decision. It is important to note Turkey as the suspected terrorists' alleged destination. They are part of a pipeline run by US-Turkish intelligence agencies to funnel foreign fighters into Syria. They, along with foreign fighters from around the globe, stage in Turkey, where they are armed, trained, and eventually sent into Syrian territory. The US government - which itself routinely detains, tortures, and extrajudicially executes what it considers "terror suspects" globally - has attempted to impede Malaysian-Chinese joint security in dealing with the threat of Chinese-based terrorists transiting the region, moving onward to Syria. In 2015, when the Thai government deported 100 suspected terrorists back to China, the United States government and its "human rights" fronts similarly decried the move. Months later, Ugyhur terrorists detonated a bomb in downtown Bangkok, killing 20 - mostly Chinese tourists. 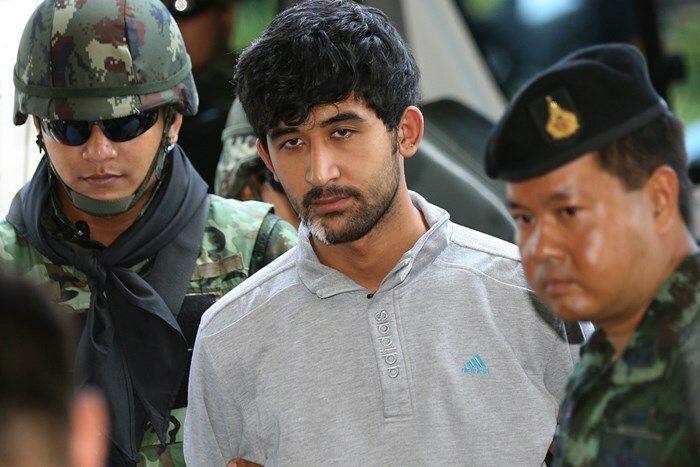 The attack was professionally planned and executed with the target picked to maximize tensions between Bangkok and Beijing - suggesting that it was designed to serve high-level US strategic objectives. 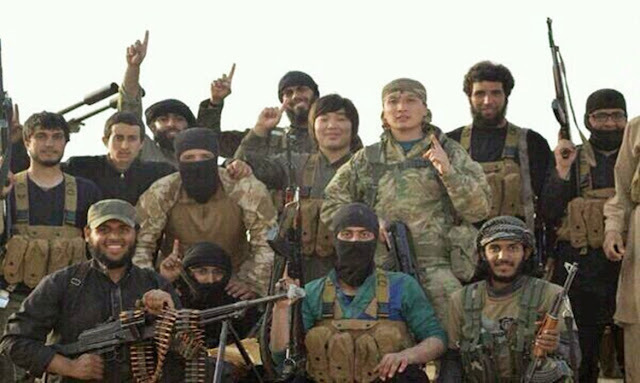 Since 2013, thousands of Uighurs, a Turkic-speaking Muslim minority from western China, have traveled to Syria to train with the Uighur militant group Turkistan Islamic Party and fight alongside al-Qaida, playing key roles in several battles. Syrian President Bashar al-Assad's troops are now clashing with Uighur fighters as the six-year conflict nears its endgame. With the Western media admitting thousands of Uyghur terrorists are travelling through Southeast Asia on their way to Syria to fight alongside Al Qaeda and assumably its affiliates including the so-called "Islamic State" (ISIS), it is obvious that attempts to decry Malaysian and Thai cooperation with China in closing down this "underground railroad" are meant to perpetuate not only the threat to Syria, but also the threat to China and the rest of Asia when these battle-hardened militants return home. ...the end of Syria's war may be the beginning of China's worst fears. "We didn't care how the fighting went or who Assad was," said Ali, who would only give his first name out of a fear of reprisals against his family back home. "We just wanted to learn how to use the weapons and then go back to China." Other groups, funded directly by the US government and based in Washington D.C. - such as the World Uyghur Congress (WUC) - have also attempted to impede Asia's collective efforts to stem the tide of terrorism flowing through their territory and onward to Syria. 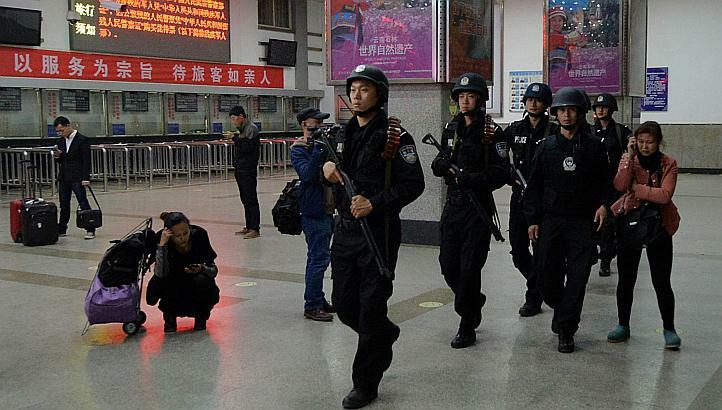 Organizations like WUC have been key in advocating separatism driving terrorism inside China's Xinjiang province. And in both Malaysia and Thailand - two nations taking the forefront in disrupting the terror network in Southeast Asia - the United States government is also funding fronts to condemn local government efforts to work with China . These organizations are also attempting to impede local security operations under the pretext of defending "human rights." In Thailand, organizations funded by the US State Department via the National Endowment for Democracy (NED) including iLaw, Prachatai, Thai Lawyers for Human Rights, Fortify Rights, and others have conducted coordinated campaigns aimed at pressuring the Thai government to allow terrorists to travel onward to Turkey where they will link up with Al Qaeda in Syria. In Malaysia, "Lawyers for Liberty" headed by Eric Paulsen is also funded by the US NED. It too has attacked local government efforts to stem the flow of Uyghur terrorists through its territory and onward to Syria. Hundreds of other Uighurs who were previously deported from Thailand & Malaysia were imprisoned or not seen again, their whereabouts unknown & unaccounted for. [Malaysia] must resist China's demands, as these men have not committed any genuine crimes in Malaysia. Paulsen's qualifier, "as these men have not committed any genuine crimes in Malaysia," comes to full light when understanding their presence in Malaysia is merely to transit onward to Syria where they will be engaged in a multitude of crimes including terrorism within the ranks of Al Qaeda and ISIS. Additionally, as the Associated Press pointed out - these same men fully intend to take their training and experience in Syria - and return to China where they will continue carrying out criminal behavior, including terrorism. And as seen in Bangkok in 2015, should this network of terror be disrupted, these terrorists will carry out attacks on other nations when and where they desire. While the United States attempts to divide China and Southeast Asia over the Uyghur terror issue, it appears to be having the opposite effect. As US influence wanes in the region and its activities become more overtly disruptive and dangerous, cooperation between Thailand, Malaysia, and China only increases as all three nations, along with the rest of Southeast Asia remain targets of US subversion in Washington's bid to maintain primacy over the region. The US also runs the risk of overplaying its "humanitarian" ploys in defense of its networks of terror and subversion worldwide. With the Western media openly admitting Ugyhurs being caught in Thailand and Malaysia are recruits for Al Qaeda and ISIS fighting in Syria, while simultaneously demanding they be allowed to travel onward to Syria under the pretext of "human rights," the US has once again exposed its use of "human rights" advocacy as a smokescreen for trampling both genuine human rights, and international law. Southeast Asia by allowing an army of terrorists to pass through its territory today, further compromises Syria's security today. Tomorrow, Asia's collective security will be endangered when this army of terrorists returns home. Asia's only choice is to collectively resist, expose, and dismantle not only this Western-sponsored terror pipeline, but also the faux-rights groups the US is using to protect it.